6 Gorgeous Beach Wedding Destinations - Ghumakkar - Inspiring travel experiences. 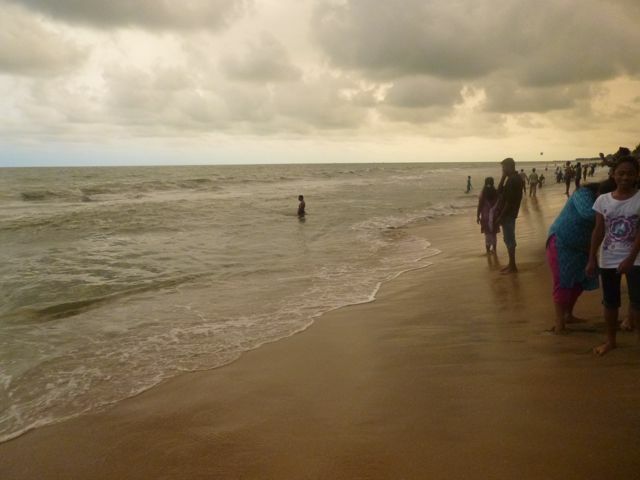 – Kerala is called God’s Own Country for a reason. 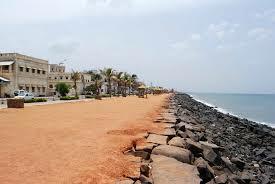 Picking a seaside destination such as Bekal will make your Indian beach wedding a dream come true. Steeped in cultural richness and natural bounty, Kerala beaches offer you the perfect blend of romance and old-world charm – the right setting for your magical wedding. 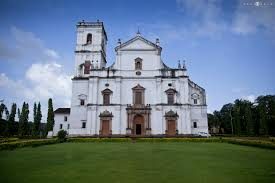 – Luxuriant sunny beaches, a happening music culture, festivity in the air – these are just a few of the things that make Goa the idyllic beach wedding destination you are looking for. If you decide to pick a spa hotel such as The LaLiT Golf and Spa Resort Goa, the sprawling private beach will make the perfect setting for you to both tie the knot and celebrate with your friends and dear ones. – Moving to the Coromandel Coast of India, the ‘French Riviera of the East’, Pondicherry, brings together the romantic ambience of Europe and the colourful culture of our rich country. While the elegant colonial French architecture provides the perfect setting, the rich fragrance of Tamil floral culture brings the promise of sweetness to your wedding and happiness to your marriage. 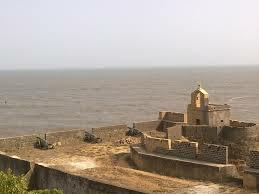 – If you’re looking for a dream wedding destination that is quite unique and charming at the same time, consider the tranquil sun-kissed beaches of Diu. The ancient Portuguese forts and the beautiful beaches lend your marriage the promise of everlasting beauty and strength. The tranquil and azure waters of the Arabian Sea and the quintessential charm of Diu make for the perfect start of a blissful marriage. 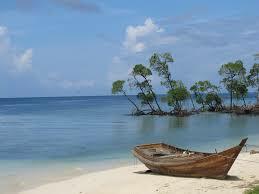 – Andaman and Nicobar islands are home to some of the most beautiful beaches. Picking a spa hotel or a beach resort in one of the many islands such as Havelock Island or Neil Island will ensure your wedding is conducted in the silky smooth sands of the Bay of Bengal beaches, witnessed by the golden red rays of the setting sun with the promise of a wonderful future together. – The white sands of Lakshadweep and the turquoise blue waters give the best international beaches a run for their money. The swaying palms and the wonderful local culture offer the perfect setting both for the wedding and for the honeymoon. Not only does Lakshadweep make for a blissful wedding destination, but also for a blissful wedded life. Like every other travelers in Ladakh, we too spent our second day in Leh. It is advisable to spend a day or two in Leh for acclimatization before going to any places of higher altitude like Khardung La or Pangong Lake. Leh has many great places to offer to its visitors including stunning landscape views, palaces, monasteries, stupas, war memorials and river Indus at Sindhu Ghat. We decided to visit the palaces and gompas on our second day in Leh and first to visit by us was the Leh Palace and Namgyal Tsemo Gompa. The erstwhile royal residence of Leh locates around 2 Km from the main market place. 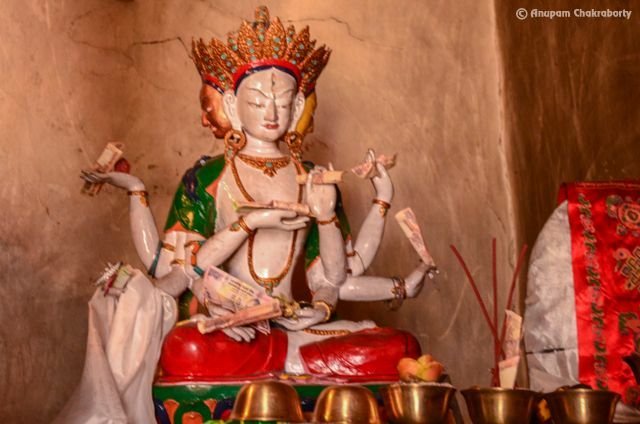 Though the Palace locates on a hill top overlooking the Leh town it can be reached by car. As we reached the Palace we saw wandering young monks on bike!